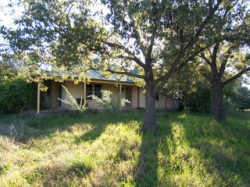 In 2008, Cumnock (45 mins from Orange, central NSW) was the first town to implement the Rentafarmhouse project "a community based scheme offering low farmhouse rentals to strengthen a town". 4. Families ready for a tree change and an appreciation for rain tanks, septic and rural lifestyle. Cumnock farmers rented 10 x $1 a week and 10 normal rental farmhouses through the Rentafarmhouse scheme which has helped the school and the community. Three years later, 9 families out of the original 20 live in Cumnock farmhouses or moved to nearby towns. Cumnock's success story and the Rentafarmhouse "blueprint" manual has saved more small towns from decline. If you have empty farmhouses or wish to reinvigorate your community please email rentafarmhouse@yahoo.com.au for our help and guidance. If you are interested in receiving updates for renting a $1 a week unrenovated farmhouse or a $50 semi-renovated farmhouse or a fully-renovated $150 farmhouse please SUBSCRIBE to our "Rentafarmhouse Updates" e-newsletter below (sent at the end of each month).